Our Fun Drive Advance courses are open to anyone aged 11 and over, allowing your youngster to gain their first experience behind the wheel much earlier than they would be allowed on the busy public roads. 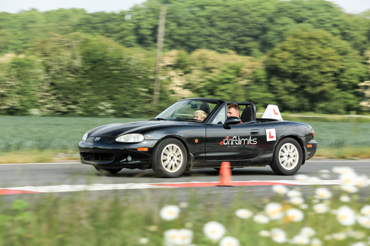 They will learn the basics of driving by an approved instructor within the confines of the circuit, resulting in a safe and stress-free environment, perfect for their first lesson. They will be driving a dual controlled Mazda MX-5 as they practice essential car control and build up their confidence, which will fast track their driving for when they are ready to drive on the highway. We will start off with the absolute basics of driving from steering the vehicle to clutch control, braking and thinking about the road ahead which will get the driver into good habits of how these should be done properly. The addition of dual controls means the instructor can intervene if necessary, giving some comfort to parents watching from the pit lane. 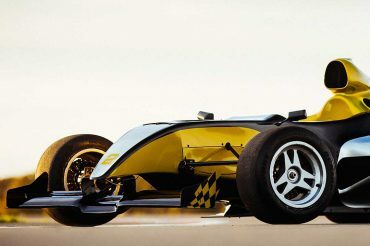 As the driver progresses with our courses we will build up speeds of up to 40mph to drive around the whole circuit. As you become more competent we may look at parking maneuvers such as parallel parking and reversing around a corner. With more experience we will move onto a fun exercise first devised by Jackie Stewart the former F1 racing driver – the ball in dish. The aim is to drive smoothly around the cones without the ball leaving the dish. This is fun but also extremely educational in terms of maintaining the balance of the vehicle and learning how to drive as smoothly and efficiently as possible.Drivers can further their understanding about potential hazards on the road and how to respond to them in a practical scenario off the roads. Safety is paramount but the emphasis is on having fun! 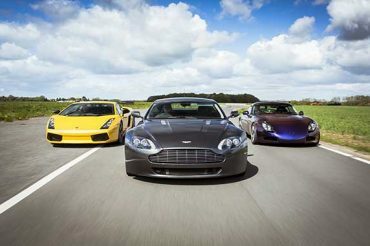 The Fun Drive Advance course is set over a half day, offering the driver 2 hours of one to one tuition. This course provides the learner driver a fantastic insight to the world on the road. This experience is run on Saturday afternoons and occasional weekdays/Sundays.